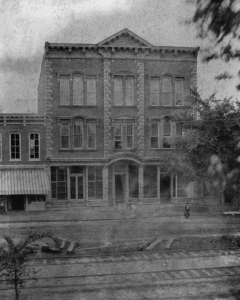 In 1882, Henry and Soloman Weil built a three-story brick office building and armory on South Center Street in Downtown Goldsboro. When finished, it was the tallest building in town. The high Victorian Italianate style was noted for its ornamental features such as quoins, arched windows, and cornices. Center Street, at the time, was adjacent to the Wilmington and Weldon Railroad. 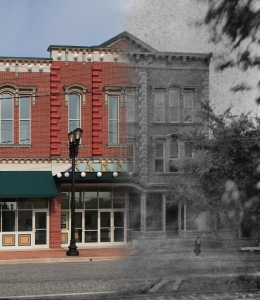 The wide Center Street that Goldsboro now enjoys was out of necessity; since many buildings were constructed from wood, the businesses were set back from the railroad tracks because of the danger of a fire arising from sparks coming from the engine boilers. Over the years, the Paramount structure was used in many different ways. The Goldsboro Rifles practiced drills on the third floor. Oheb Shalom congregation used the second floor as a synagogue until their Temple was completed. 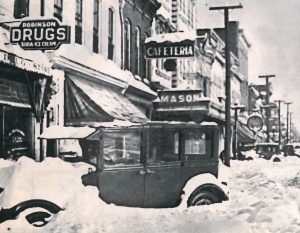 In the 1920s a marquee and stage were added, and the building became The Mason Theatre; a venue for vaudeville entertainment, films, and more. Shortly after, the name changed to Paramount and it grew to become the top motion picture theater in Wayne County. The Paramount closed its doors in the early 1980s and remained unused until the early 1990s, when the community began an effort to re-open the Paramount as a center for the performing arts. In 1993, the renovated building was donated to the City of Goldsboro, and the City managed the theatre for the next 12 years. It was utilized over 85% of the time for plays, pageants, concerts and other locally produced events. 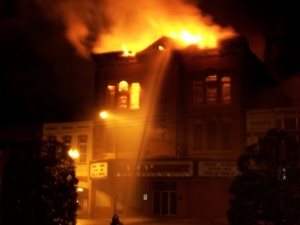 Early in the morning on Saturday, February 19, 2005 a fire destroyed the Paramount Theatre. When it burned, citizens lined the streets and watched in disbelief. The loss of the theatre was personal to many members of the community. After some time of deliberation and fears that the theatre would not be rebuilt, construction started from the ground up thanks to the efforts of Mr. David Weil with the Paramount Theatre Foundation, the City of Goldsboro, and numerous citizens of Wayne County. The newly rebuilt Paramount Theatre officially reopened on February 15th, 2008. Dunn & Dalton served as architects and T.A. Loving Company was the general contractor. The new theatre had a construction time of just 14 months. With the newly constructed theatre, the Paramount Performing Arts Series was also born. Now in its eleventh year, the series brings professional artists from around the globe directly to Historic Downtown Goldsboro. The 2011-2012 Performing Arts Series was named the “Best Downtown Event Series” by the North Carolina Main Street Center.